Another appointment was attended on Thursday last week. I had made a list of questions to ask the. I hoped that I’d be allowed to possibly come off the list, but unfortunately when I asked the question, they had decided to keep me on it. I guess, for my physical health it’s a good idea as I’m reasonably well. Mentally not so good. I’m getting to the stage where im starting to struggle now. Im missing my friends, job, Mark and life in Torquay. I just want to be able to move on and continue life as it was before this all happened. My UKELD (UK End stage Liver Disease) score has remained the same, meaning I’m probably not very high up on the list. The wait will most likely be another 3 – 6 months from now. My liver consultant also mentioned that I could try reducing my diuretics during my appointment before last. I was curious as to what may happen and didn’t expect the ascites to come back, but it did and quite quickly too. As soon as I noticed it building up again I went back to my original dose. It upset me quite a lot as it’s a sign that my liver isn’t working as well as it should. I knew that it wasn’t great but it’s not nice to be reminded that way. 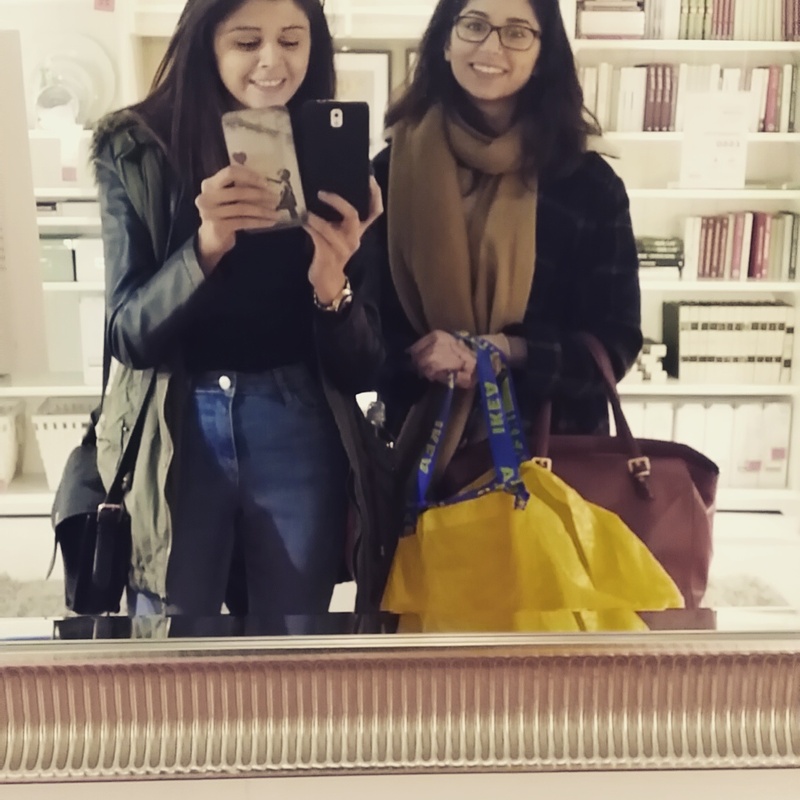 So I guess the wait continues…..
Harriet and I in Ikea. Shopping for her new house.